Before last Saturday's Better Block Johnston Street in Lafayette, Project Front Yard hosted the Downtown Deep Clean Block Party. 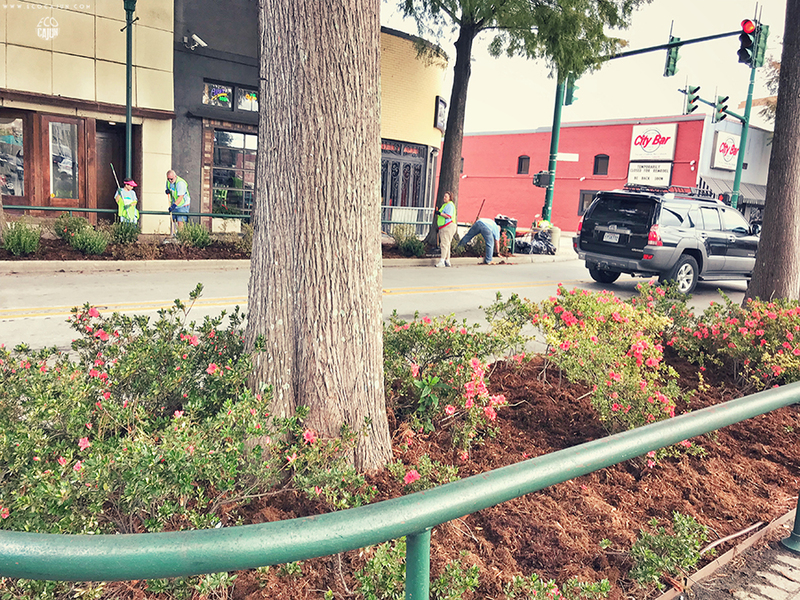 While most of the focus was on mulching the flower beds along Jefferson Street, a few of us concentrated on cleaning up litter. 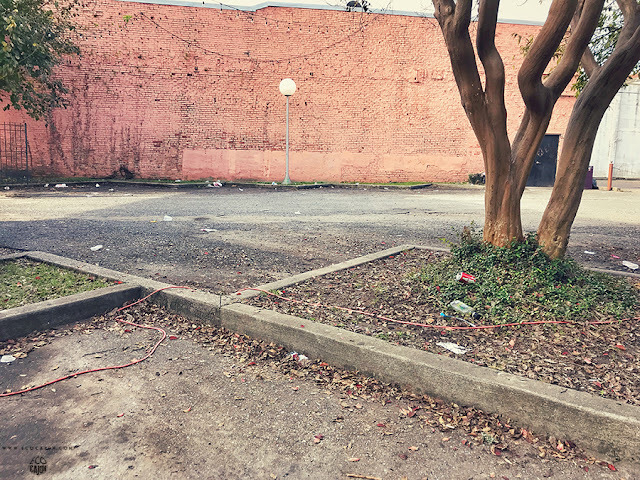 One parking lot in particular was in dire need of a cleanup. The Saturday morning after Halloween week is quite the interesting time to be cleaning up litter. 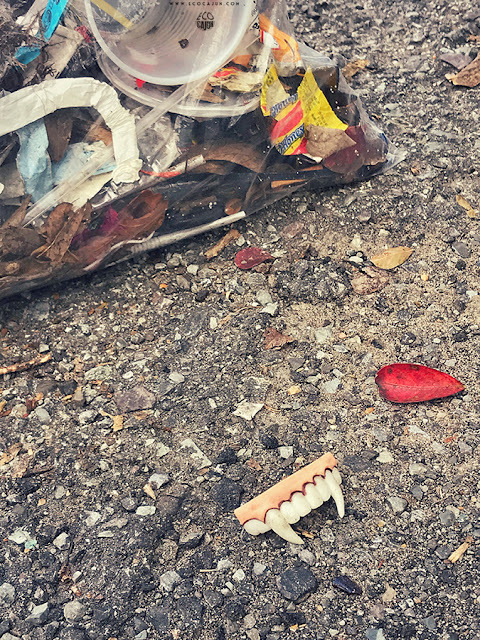 In addition to the usual suspects of liquor and beer bottles, straws and cigarette butts, I found a lot of fun size candy wrappers and even a pair of vampire teeth. 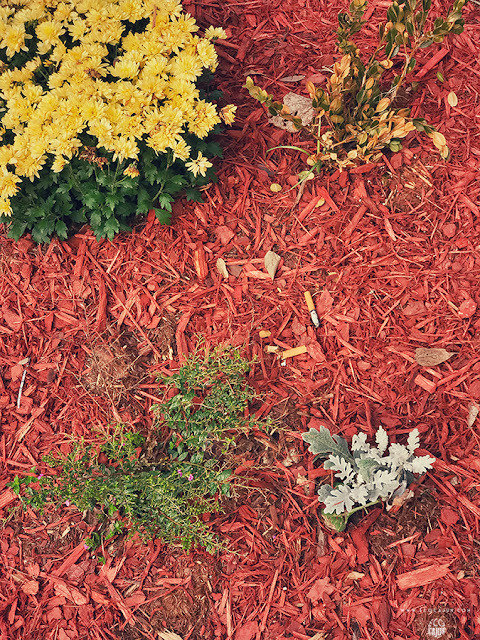 I know it's odd, but I honestly enjoy picking up litter. It feels so productive, and you can immediately see the benefits of your work. The flip side is the knowledge that your work usually won't last for 24 hours. 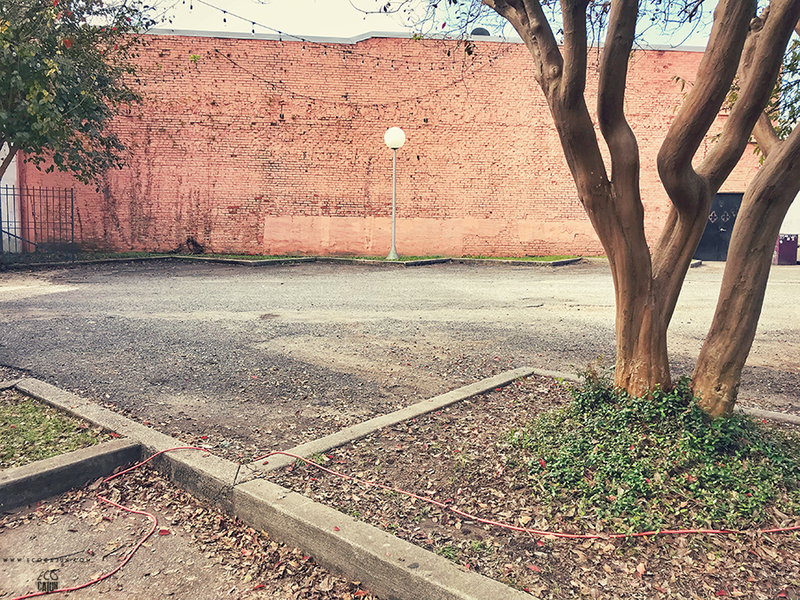 With the amount of bars downtown, I know this parking lot didn't remain this clean come Sunday morning. But we'll keep on keeping on fighting to keep our community clean!